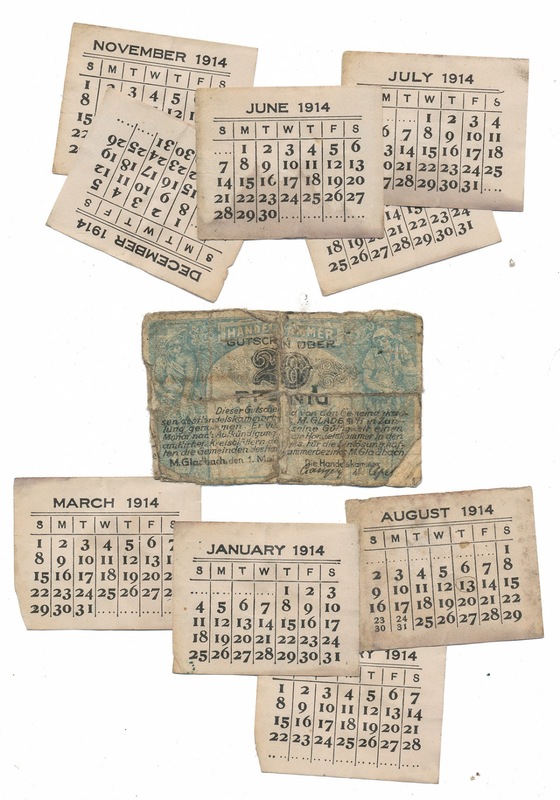 Most of the contents of a small 1914 calendar and a German voucher or coupon (I believe it reads "Gutschein" at the top. 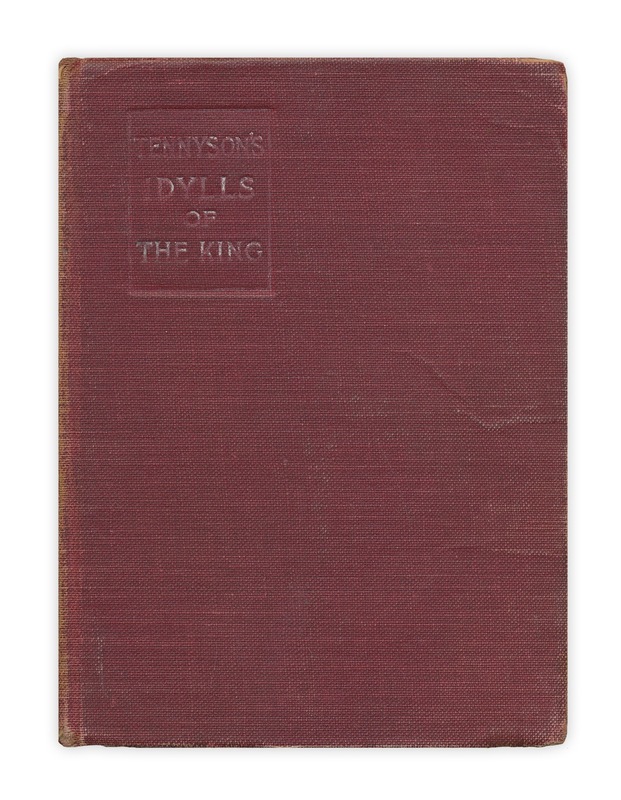 Found in "Idylls of the King" by Alfred Lord Tennyson. Published by Macmillan, 1906.